Today 3 teams traveled to Christ’s Hospital to represent Team Bodyworks in the Sussex Road Relays. The U13 Girls Team started the competition with Daisy Burton …putting in a strong first run before handing over to the first newcomer of the day Ella Perry who ran a brilliant race considering it was her first time representing Team Bodyworks, Izzy Smith then put in a strong performance to hold her position as bring the team in 5th overall. They should all be very proud of themselves – awesome. The U15s had two teams competing in the girls race. Kaja Simonsen-Brickley started out with a steady pace to hand over to Hannah Miller who competently held her place in the pack before passing the baton to our second newcomer Charlotte Elliott who, for her first time, ran superb. 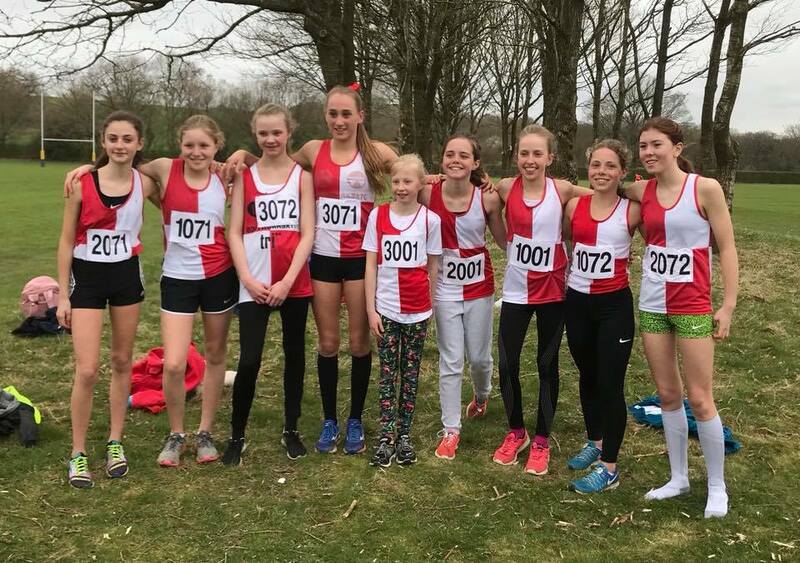 Eloise Key started the other U15 off with a quick pace running through the line to Amber Blake who looked comfortable running steady during her lap to pass over to Bethany Cook who unsurprisingly ran a stormer picking off her opponents to secure victory for her team. Daisy Burton (U13) and Bethany Cook (U15) also managed to record the fastest laps in their events. A great days racing by all the girls, valuable experience for the newcomers and great team spirit. Congratulations to Joe Townsend on his Commonwealth GOLD medal in the Men’s Wheelchair ParaTriathlon event on the Gold Coast for Team England. We hope that all those that took part and those who came along to support enjoyed the event. Well done to Chief organiser Sarah Coope on managing all the changes that were required in the last 24hrs because of the weather which finally permitted the event to go ahead. These went down to the final alterations needing to be made on the morning of the race. Also a shout out and big thank you to all those who gave up their time to help with the marshalling of the event on the day.